The debut literary thriller that launched the career of the bestselling author of BEFORE THE FALL and the creator of the show Fargo. Linus Owen is a young professor of conspiracy theory at a small college just outside San Francisco. His marriage is foundering and his wife, Claudia, has gone to Chicago to visit her mother. But if Claudia is in Chicago, how is it that two FBI agents show up at Linus' office and inform him that Claudia has been killed in a plane crash on her way from New York to Brazil? And why did a man named Jeffrey Holden, the vice president of a major pharmaceutical company, buy her ticket and die beside her? 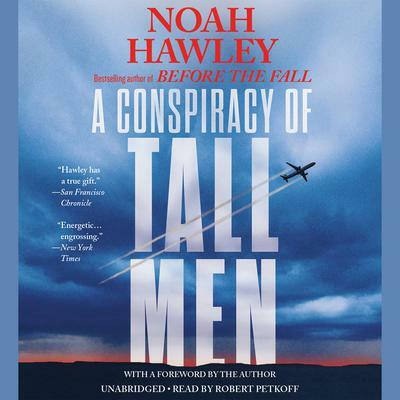 Part Don DeLillo, part Kurt Vonnegut, with writing that is electric, whip-smart and suspenseful at each turn, Noah Hawley draws us into a deliciously labyrinthine world of paranoia and plots.